Even in an increasingly Red vs. Blue nation, the public's political attitudes and values come in many shades and hues. Partisan polarization -- the vast and growing gap between Republicans and Democrats -- is a defining feature of politics today. But beyond the ideological wings, which make up a minority of the public, the political landscape includes a center that is large and diverse, unified by frustration with politics and little else. As a result, both parties face formidable challenges in reaching beyond their bases to appeal to the middle of the electorate and build sustainable coalitions. 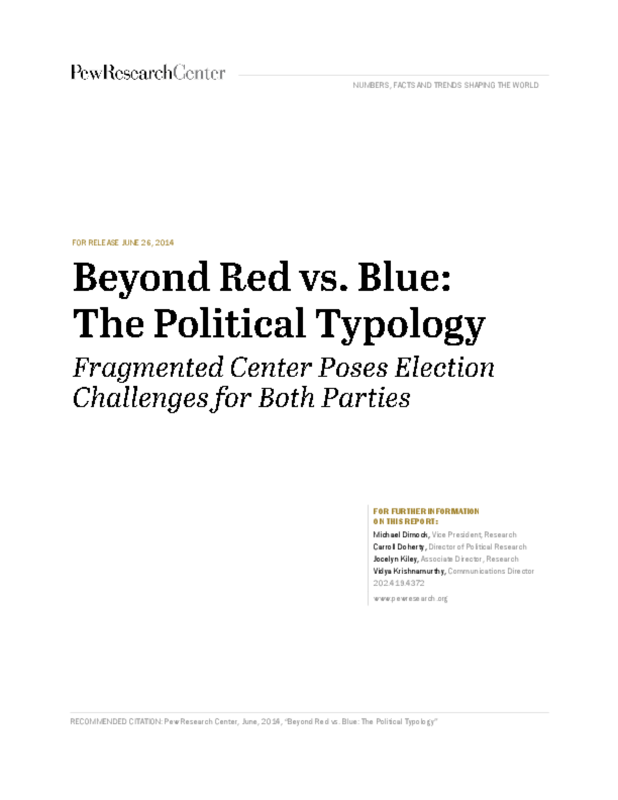 The latest Pew Research Center political typology, which sorts voters into cohesive groups based on their attitudes and values, provides a field guide for this constantly changing landscape. Copyright 2014 Pew Research Center for the People &, the Press.